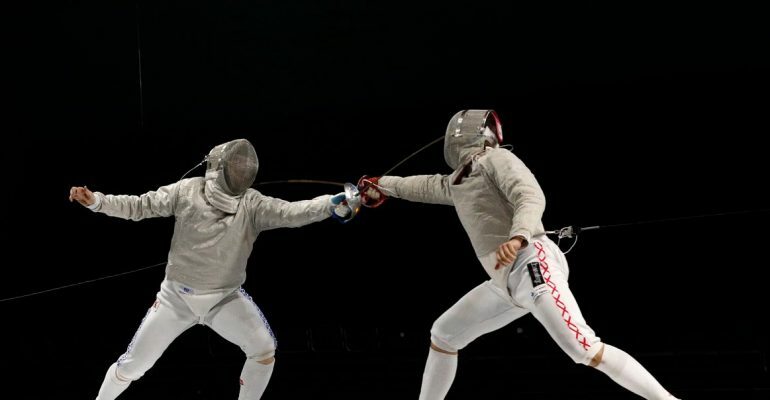 Kirk, a previous student at Ravensbourne College has been fencing for a number of years. His biggest achievements to date include winning the British Sabre Open and being part of the Team Commonwealth Gold. 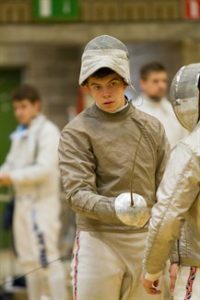 Kirk has been selected to join Team GB’s Fencing Squad, and competed at the European Championships this year. 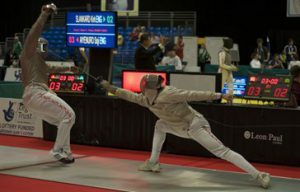 Although the team didn’t make it to the final stages, it is great experience for Kirk who still has many years of fencing to go. Kirk is still actively competing all over the world. His recent competitions include the Torun European Championships as part of the GB Team, Moscow Grand Prix as an individual and the Madrid World Cup as an individual. Kirk’s goals for next year are to increase the GB world team ranking and to regularly get into the second day in world cups. For Kirk’s long term career he aims to represent GB at Tokyo 2020, which is a very realistic goal considering his current age and skill. We are very proud to be supporting Kirk and wish him the best of luck for the rest of the season and beyond!